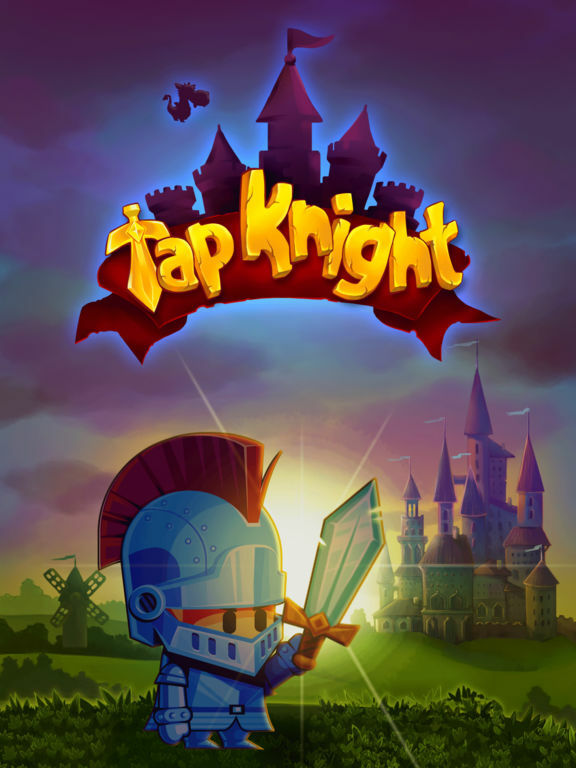 You are the Tap Knight! 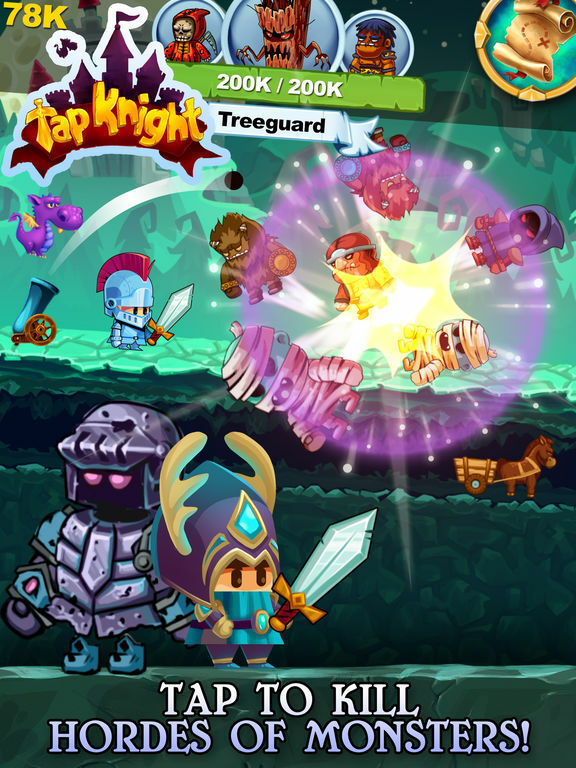 Use your fingers and tap frantically in this idle-tapper game to slay hordes of enemies and kill big bosses! Are you ready for this mighty adventure?! Your Kingdom awaits! 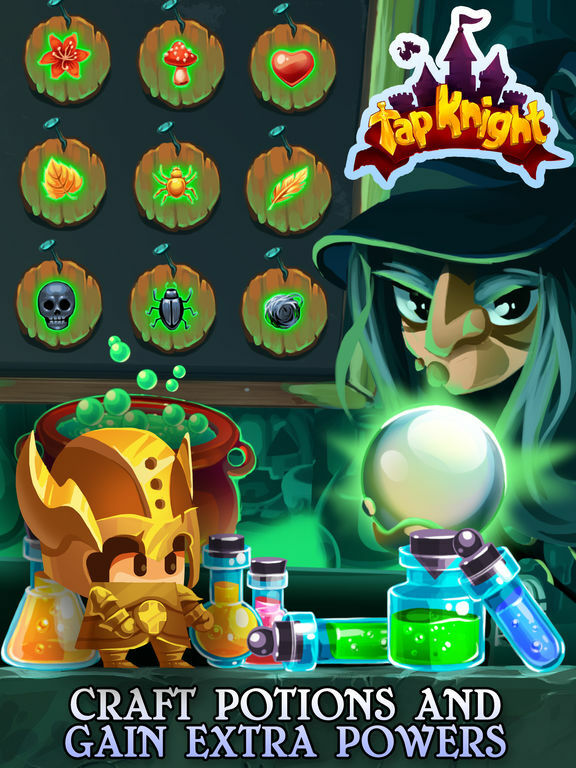 Tap Knight is an 'RPG clicker' game where the player slays monsters and gains experience to become powerful enough to free The Kingdom from evil Dark Mages. In this adventure there are many obstacles on the way, but also, there are lots of things to discover! Swords, chests, potions, artifacts, armor and trophies are waiting for their true hero to be unlocked! A brave warrior with powerful magic abilities, you are the only hope for your people. 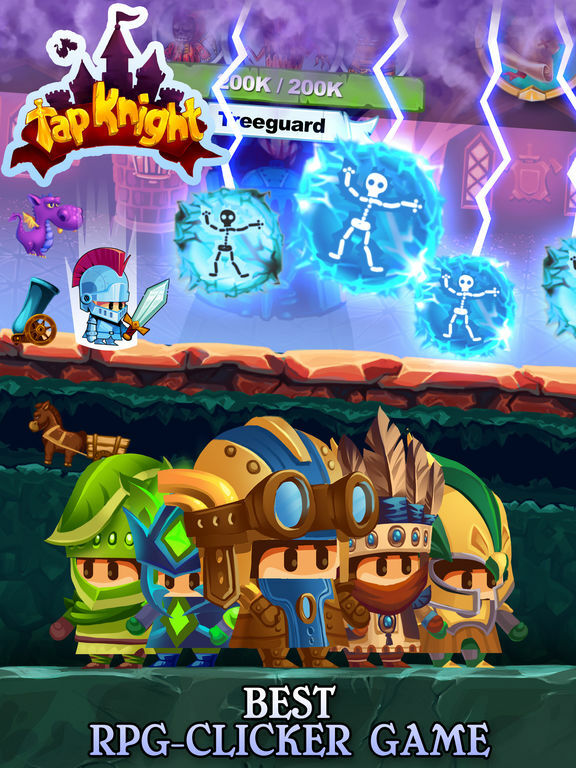 Go forth and tap your way to victory! 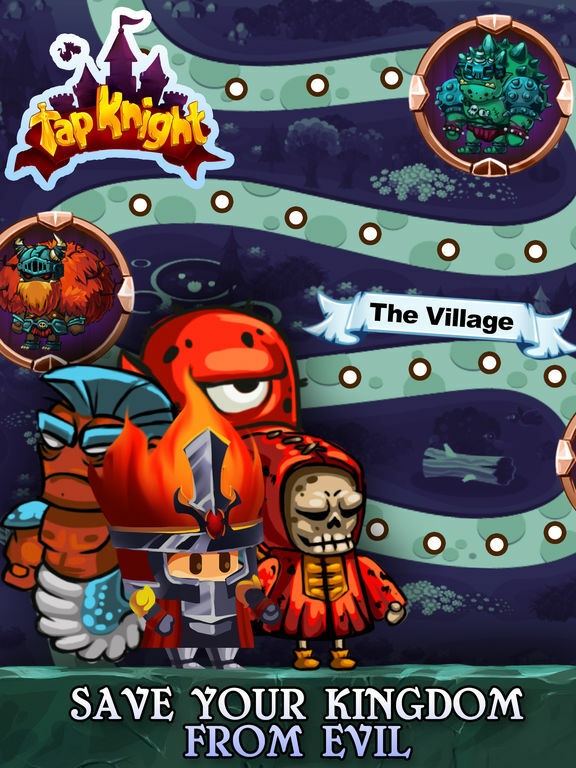 Play with the knight and make your way through villages, forests, castles, caves & much more! Defeat all big bosses with the power of your fingers! 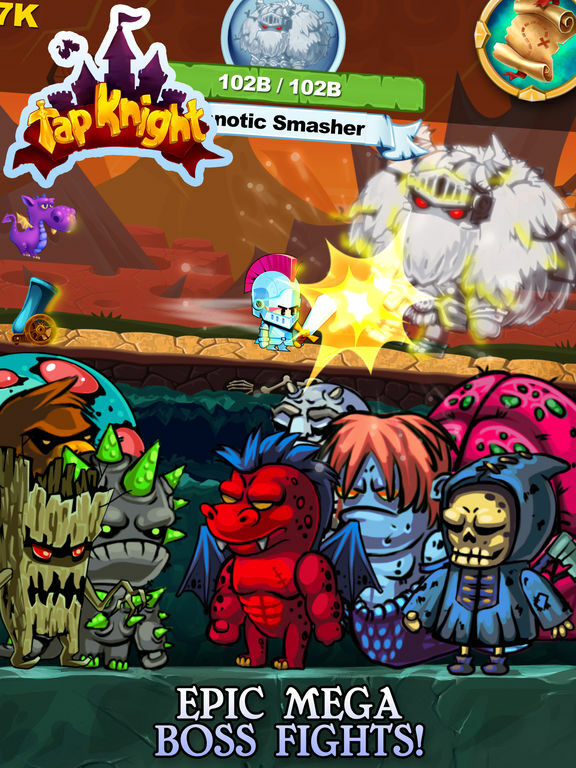 Hordes of monsters are invading your Kingdom. Be a brave warrior! 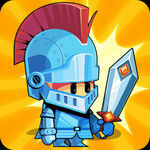 Use your sword and magic skills against the enemy! Earn new power-ups, try new weapons and unlock new abilities! Test how fast you can tap and advance through all the chapters of this addictive game! Collect stars and gain ratings! Challenge your friends!